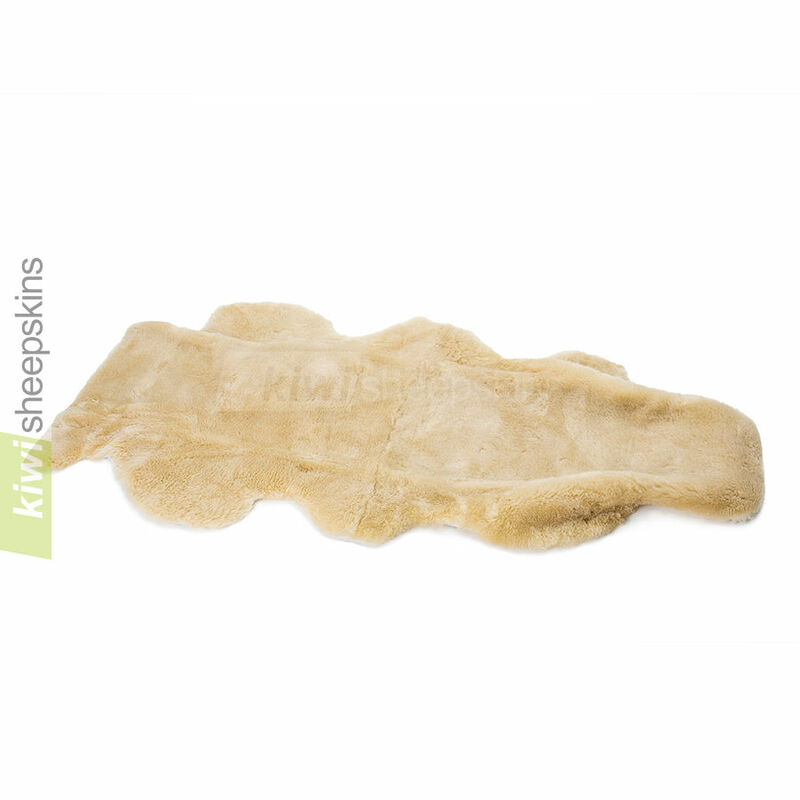 Shorn shortwool version of our high back sheepskin car seat cover. Made from natural shape premium New Zealand or Australian sheepskins that have been shorn to a uniform length of about 22mm (7/8 in.). 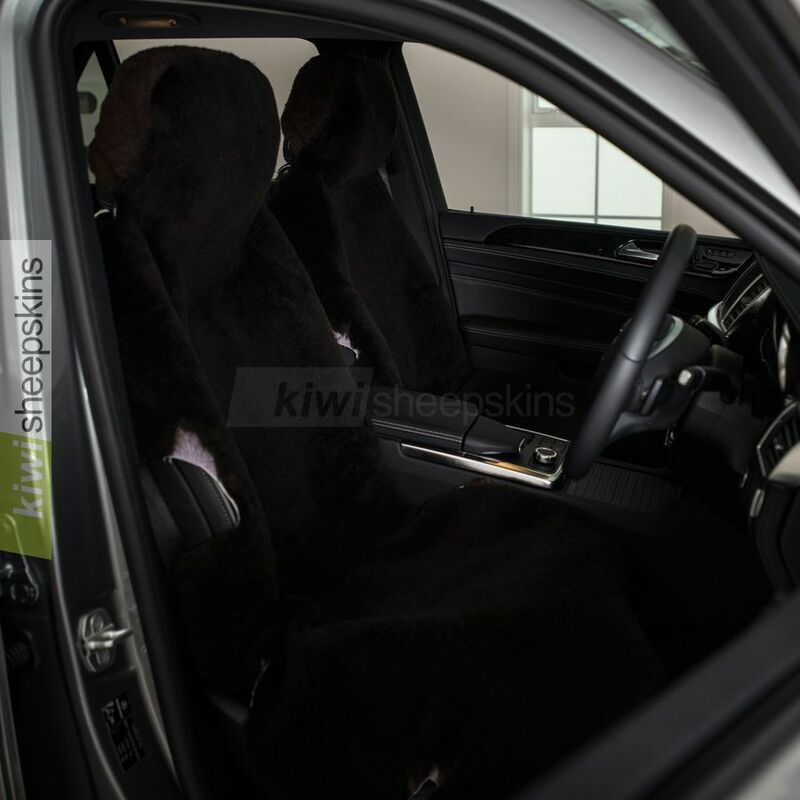 Made in New Zealand by Classic Sheepskins who have been manufacturing sheep skin car seat covers for over 30 years. The same design as our long wool seat covers but made from sheepskin pelts that have been shorn to a uniform wool length of about 7/8 in. (22mm). 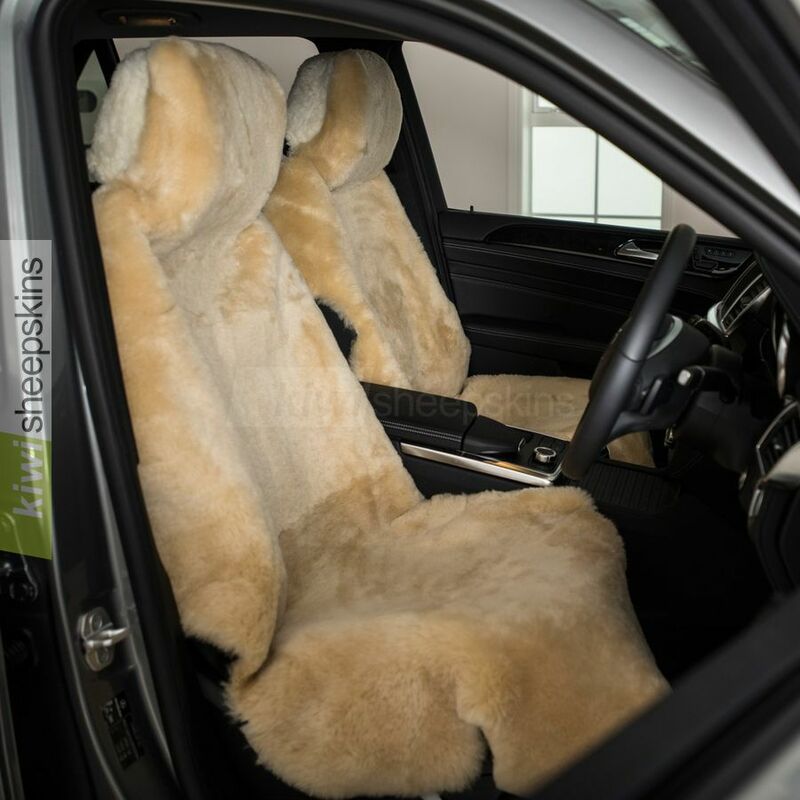 The two pelts retain their natural shape and the headrest area has an elasticized "fun fur" back to the headrest area for easy fitting to most cars. Simply stretch the top over the headrest and feed the hook and loop fastener straps through and under the seat so thay they are hidden from view and join front straps. The cover leaves the rear of the seat, other than the back of the headrest, exposed so that any seat pockets on the rear of the seats are still accessible. IMPORTANT: If you have airbags that are built into the side of the actual seats, you may need to trim off excess width which can easily be done with a pair of scissors. The shorn sheepskin acts like a medical sheepskin, supporting the body on a cushion of densely packed wool fibers. 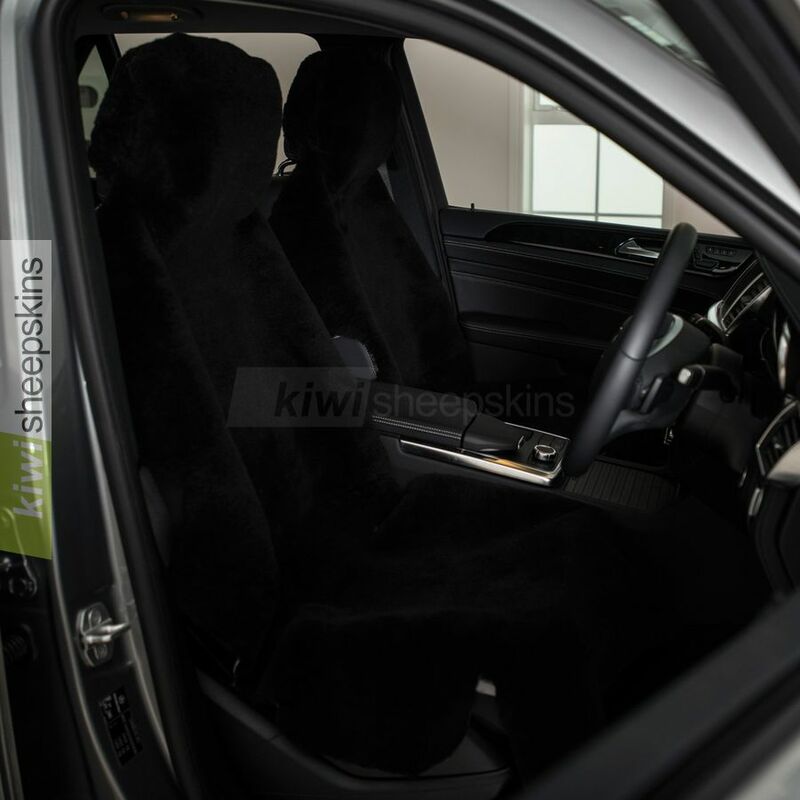 This improves comfort especially on long journeys, keeping you warm in winter but cool in summer. As we purchase these covers as a "universal" design, we aren't provided with details of particular vehicle models. However as they only fit the headrest and lay unfitted over the rest of the seat, they will fit most cars with headrests up to about 12 in. (30cm) wide. The elastic "fun fur" back pulls the cover to provide a secure and snug fit around the headrest. Note headrest must be in a low position. All short wool sheepskin seat covers are made to order so we can't cancel an order if work has started on your cover and exchanges/refunds aren't possible (unless defective). Feedback from customers who have purchased our short wool sheepskin car seat covers (for more feedback see the long wool version). Thank You for the excellent seat covers. So easy to install, fully cover the important places on my seats, and very well made. Service was great as well. Not often does one get what is advertised or better, handled and delivered right on time. I appreciate this. 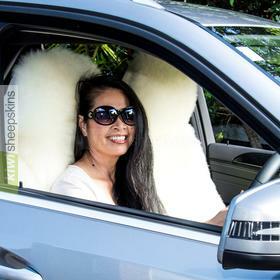 Your sheepskin auto seat cover is FABULOUS !! Very, very good-looking, very easy to install, remains in place perfectly, and very, very comfortable on cold leather seats (don't forget, in our winters, with the wind chill factor, it can get to -40 degrees Celsius...) and also on warm days (I tend to find leather seats comfortable however they cause distasteful perspiration, but with the seat cover, it is no longer an issue AT ALL !!). I am a very pleased and proud owner, and will not hesitate to speak highly of your company, your service levels, and your product quality !! 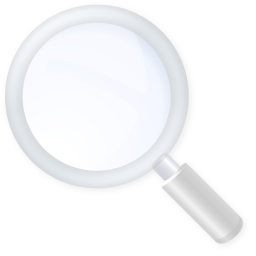 If I can help you in any way (specific testimonials or whatever), please do not hesitate !! BRAVO !! and thanks. 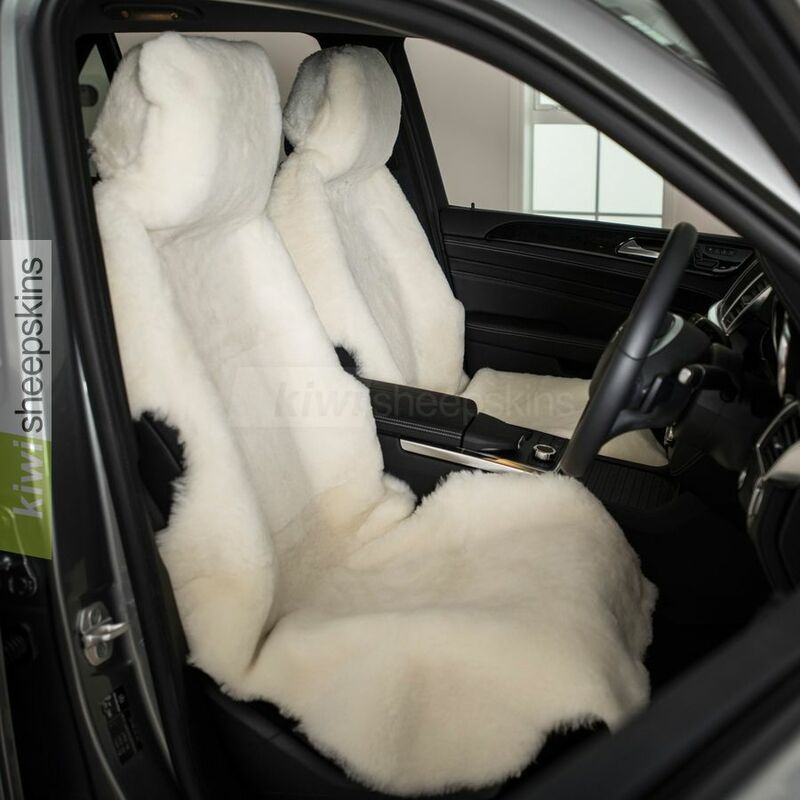 Just a note to let you know that I am very satisfied with the sheepskin seat covers that I purchased. They are an excellent fit on my VW Touareg. Most people are not aware that the battery in this vehicle is located under the passenger seat and so a cover which can easily be removed and also does not inhibit either the electric seat controls or the side airbags is most desirable. Picked up my seat covers today and installed on my Volvo C30.....sweet!!!! Very nice quality and fit. Thanks so much. Have just received the seat covers, many thanks. Most impressed with the quality of the covers and with the professional way you do business. 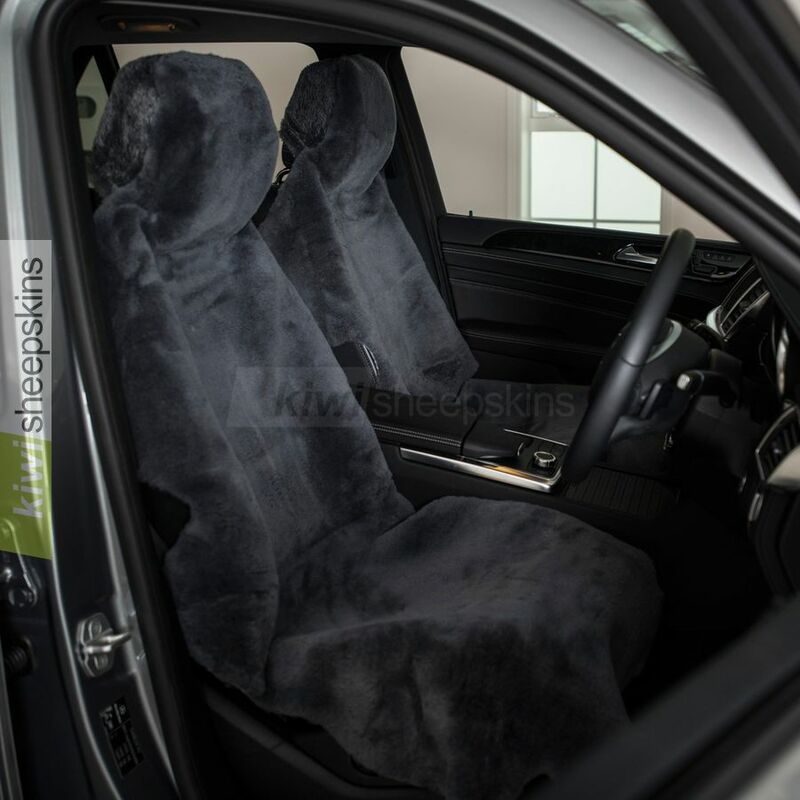 I am pleased to say the order reached us today, we are highly satisfied with the seat covers - and indeed with the quality of your communication. However, I still hope we beat you at cricket this summer!! Order arrived today, all the products are great. Thank you very much, it is always a pleasure buying items from your company. All the best for the new year.